A brighter future is in your hands. We’re currently seeking an Assistant Golf Course Superintendent at Lake Isle Country Club in Eastchester, NY. The Assistant Golf Course Superintendent reports directly to the Golf Course Superintendent and is responsible to execute the Superintendent’s job duties in his absence. The Superintendent is entrusted with the maintenance, operation, and management of a golf course maintenance operation. He serves as the liaison between the company, the customer representative and the golf shop on matters concerning daily course operation. He shall be easily contacted and will, in turn, be in contact with the key employees on the golf course at all times. The Superintendent and Assistant Superintendent must be able to respond quickly to any situation. Assist the Superintendent to organize and direct maintenance of all areas within the scope and according to the technical specifications of the contract. Supervise the operation, maintenance, and repair of all equipment assigned to the course. Procure and manage supplies and materials to support maintenance activities. Manage golf course maintenance employees. Provide valuable inputs on the interview, hire, training, discipline and the separation process. Protect the company’s interest through an awareness of and compliance with all applicable regulations including course and company policies. Fulfill administrative duties timely. 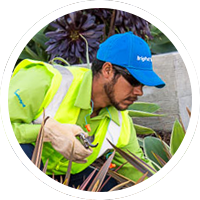 Represent BrightView Golf Maintenance in a positive and professional manner including attitude, appearance, and public relations. Meet or exceed external and internal customer expectations. Experience in golf course management and turf culture preferred. A degree or advanced knowledge of agronomy, horticulture, plant or soil science preferred. Aptitude for administrative and executive responsibilities including effective oral and written communication skills and computer proficiency. Must obtain and maintain state sanctioned pesticide applicator license within 6 months of entry into this job. Familiar with the characteristics and proper use of fertilizers and soil conditioners. Knowledge of irrigation including watering practices, irrigation systems, pumps, wells and automatic controls and drainage. Able to prepare the course for play in accordance with the rules of golf. Able to evaluate the course from the player's perspective.